firstly the date: the graffiti here was regularly plastered over, and Bagnall argues that this particular graffito lies on a layer below a layer which includes (admittedly in a different place) a dated graffito which makes reference to "year 210" (which he further argues corresponds to the customary dating - found in coins and inscriptions etc. - to the (re) conquest of Asia Minor by Sulla in 85/84 BC; so minus 84 plus 210 yields AD 125/6 [not worrying for the moment about the Bibfeldtian problem of the year zero]). If this is secure (the only problem would seem to be that the dated graffito occurs in Bay 16 and the above graffito, which is assigned to the layer below the dated graffito, occurs in Pier 100) this would be the earliest securely dated archaeological evidence for Christianity anywhere in the ancient world (unless someone can think of something earlier). Thirdly, the evident Paulinism of this isopsephy is rather striking evidence for the influence of Paul's theology (admittedly at a simple level) in Smyrna in this period. See R. Bagnall, Everyday Writing in the Graeco-Roman East (Berkeley: University of California Press, 2011, 2012 pb), 22f. I guess that this press release by SBL is of potential interest to textual criticism. Over at Reviews of Biblical and Early Christian Studies (RBECS), Edgar Ebojo has published a review of Roger S. Bagnall, ed. 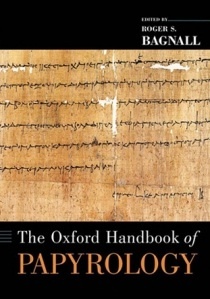 The Oxford Handbook of Papyrology. Oxford: Oxford University Press, 2009. Xxiv + 688 pages. £95.00 (hardback) and £32.50 (paperback). ISBN: 9780199843695. This magnificent Handbook is a very rich resource for those who are interested in the science and art of papyrology. Closer to home, this will definitely be a “textbook” for many years to come that will be constantly consulted by postgraduate researchers dealing particularly with biblical manuscripts, either in a roll or codex format, or whether written on a papyrus or parchment. This Handbook is definitely for everyone who recognizes that the past is a very certain guide for the future. Let me end this humble review with how I would like to see the future of papyrology–similar to how Peter Van Minnen (p. 659) ends this Handbook–with a high sense of optimism, “The past will continue to surprise into the distant future as far as the eye can see”. Brief notes about The Oxford Handbook on Papyrology here and here. Read the associated press story and view related pictures at the Washington Post. "Finkelstein said the jewelry likely belonged to a Canaanite family." I am sure that he is correct, but I wonder what other people groups could have theoretically lived in the region at the time who might have brought golden jewelry with them from Egypt? From Parchment & Pen, Michael Licona interviews Dan Wallace about the new manuscript discoveries. Eisenbrauns has just released Studies in the Text of the Old Testament: An Introduction to the Old Testament Text Project. Birmingham Conference: "Biblical Texts and Reception History"
The University of Birmingham, in conjunction with the Department of Theology and Religion, is pleased to announce the Second University of Birmingham Biblical Studies Day Conference, open to all Postgraduate Researchers of the University of Birmingham and other Universities. A number of new perspectives about biblical manuscripts have come to light in the last 100 years, and this development has presented new challenges and opportunities that need to be reflected upon, especially by those in the academe. This conference aims to highlight previous researches and recent developments in the area of the studies of these biblical texts and to explore how these texts have been construed throughout the centuries, and how these affect, if they do, future studies and reception of the same. To set the parameters for discussion, we have invited two guest speakers to share their own professional journeys insofar as the biblical texts are concerned: Prof Larry Hurtado, Emeritus Professor of New Testament Language, Literature, and Theology, University of Edinburgh, and, Dr Simon Crisp, Coordinator for Translation Standards and Scholarly Editions, United Bible Societies (UBS). Select Papers on the topic from postgraduate researchers across the UK also highlights the broader implications of this event. 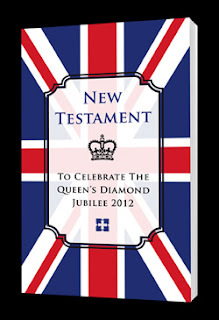 Not too sure what to make of this New Testament. The aims are positive (see here, with reference to Rachel Jordan), but the subliminal messages are problematic. Below is an excerpt from my article, "The 'Son of God' Was in the Beginning (Mark 1:1)," JTS 62.1 (April 2011): 23-25 with some differences in formatting (footnotes are endnotes, with fresh numbers, etc). At the Annual Meeting of the Society of Biblical Literature in New Orleans, 2009, Geoffrey Smith announced a new early papyrus from Oxyrhynchus that witness to the short reading. It contains Mark 1:1–2, and the first verse reads: αρχη του ευαγγελιου ιησου του χριστου. The second definite article in front of Χριστοῦ is unique in the Greek manuscript tradition. On the whole, however, the text in the two verses is akin to that in Codex Koridethi (Θ 038). Smith cautiously assigned the yet unedited papyrus to the 3rd/4th centuries. The hand is not professional, but the copying has been executed with some care. Judging from the text, the scribe seems to have copied the exemplar carefully, with the unique definite article as a possible exception. Nevertheless, there are several features that suggests that this item is not a continuous-text MS, but rather an amulet; gospel incipits in general were very common on amulets. This item is typically written on one side only; it has not been folded but was probably rolled and placed in a capsule; there are several holes, four of which are aligned vertically at the top and may have been used for a string; the text is introduced by this curious appeal on the first line: αναγνωτι την αρχην του ευαγγελλιου και ιδε (“Read the beginning of the gospel and see”), which is clearly set off from the subsequent gospel text by indention, line spacing, and very different line length; it was possibly produced by a different scribe and/or in a different stage. Various titles, introductory texts, and invocational features are attested in similar amulets with incipits. Apart from P45, which is not extant in the opening chapters of Mark, there are no early papyrus witnesses to the Gospel of Mark. Therefore one might be tempted to assign great weight to this witness. As an amulet, however, this papyrus does not belong to the New Testament textual tradition proper and will therefore not likely be registered with a Gregory-Aland number. On the other hand, it may still be significant for the reconstruction of the New Testament, not least by virtue of its age. Otherwise, there are at least two other Greek papyrus amulets with the incipit of Mark, and they in fact attest to the long reading: P. Berlin inv. 6096 (4th cent.? ); PSI VI 719 (4th–5th cent. ; from Oxyrhynchus). The papyrus was presented and discussed by Geoffrey Smith, “A New Amulet of Mark 1:1-2 from Oxyrhynchus” (paper presented at the annual meeting of the SBL, New Orleans, 2009). According to Smith, the papyrus will be edited and published in The Oxyrhynchus Papyri LXXVI (London: Egypt Exploration Society, forthcoming). 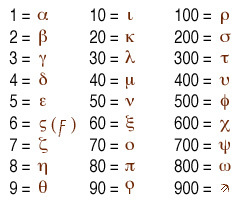 Apart from the article, the only other difference to Θ is in v. 2 where the papyrus reads ὡς for καθώς in Θ. In private correspondance, Thomas J. Kraus categorizes the hand as being close to the Roman bookhand (above all, Roman period), resembling the writing style of P45 (3rd cent.) apart from some irregularities. Chrysostom mentions how “women and little children suspend Gospels from their necks as a powerful amulet, and carry them about in all places wherever they go” (Stat. 19.14 [NPNF1 9:470]). Most probably “Gospels” in this connection refers to the incipits that represented the whole Gospels, which in turn were perceived as having a special power for protection, exorcism or healing. In P.Rain. 1, for example, the wearer of the amulet commands different types of fever to flee by appealing to the four Gospels of the Son (ὀρκίζω ὑμᾶς κατὰ τῶν τεσσάρων εὐαγγελίων τοῦ ὑιοῦ κτλ.). For a catalogue of 11 Greek and Coptic amulets with gospel incipit(s), see Paul Mirecki, “Evangelion-Incipits Amulets in Greek and Coptic: Towards a Typology,” in Proceedings of the Central States Regional Meeting of the Society of Biblical Literature and the American Schools of Oriental Research 4 (2001): 143–53. The appeal in itself would perhaps better reflect an apologetic purpose. Cf. Origen, Cels. 2.36: ἀναγνώτω τὸ εὐαγγέλιον καὶ ὁράτω ὅτι καὶ “Ὁ ἑκατοντάρχης καὶ οἱ μετ’ αὐτοῦ τηροῦντες τὸν Ἰησοῦν ἰδόντες τὸν σεισμὸν καὶ τὰ γινόμενα ἐφοβήθησαν σφόδρα, λέγοντες· Θεοῦ υἱὸς ἦν οὗτος” (SC 132: 372; my italics). On the other hand, the reading of the words on the amulet was of major importance for its effectiveness. For example, P.Mich.inv. 1559 begins with “The Holy Gospel according to Matthew” followed by the four Gospel incipits in sequence. In the Coptic source text P.Anastasy 9, the gospel incipits are preceded by this description: “This is the establishment of the beginning of the four gospels.” Cf. P.Oxy. 1077 that presents Matt 4:23-24 under a heading that expressly indicates its function, ιαματικον ευαγελλιον κατα Ματθαιον (“Curative Gospel according to Matthew”). Note, however, that in some cases it is difficult to distinguish between miniature codices and amulets, for example some registered papyri in small format may have been used as amulets, e.g. P50, P78, P105. Moreover, continuous-text MSS may have been reused as amulets e.g., P. Vindob. G 29831. See G.H.R. Horsley, “Reconstructing a Biblical Codex: the Prehistory of MPER n.s. XVII. 10 (P.Vindob. G 29831),” Akten des 21. Internationalen Papyrologenkongresses, Berlin, 13.–19.8.1995 (2 vols. ; eds. B. Kramer et al. ; APF Beihefte 3; Stuttgart-Leipzig 1997), 473–81. On these issues, see Stuart R. Pickering, “The Significance of Non-Continuous New Testament Textual Materials in Papyri,” Studies in the Early Text of the Gospels and Acts. The Papers of the First Birmingham Colloquium on the Textual Criticism of the New Testament (ed. D. G. K. Taylor; Texts and Studies 3.1; Birmingham: University of Birmingham Press, 1999), 121-141; Stanley Porter, “Textual Criticism in the Light of Diverse Textual Evidence for the Greek New Testament: An Expanded Proposal,” in in New Testament Manuscripts: Their Texts and Their World (ed. Thomas J. Kraus and Tobias Nicklas; TENT 2; Leiden: Brill, 2006), 305–37. See Carl Wessely, Les plus anciens monuments du christianisme écrits sur papyrus II: textes grecs (Paris: Firmin-Didot, 1924), 412-13. The papyrus reads αρχη του ευαγγελιου Υισου [sic] Χυ̅ υυ̅ του θυ̅ (line 8). Wessely dated the MS to the 4th century, whereas Fritz Krebs, “Altchristiliche Texte im Berliner Museum,” in Nachrichten von der Königl. Gesellschaft der Wissenschaften und der Georg-Augusts-Universität zu Göttingen (Göttingen: Dieterichsche Verlags-Buchhandlung, 1892): 114-20 (no. IV), dated it to the 6th cent. at the earliest (114). Ibid., 413. Two other items are inconclusive: P. Vindob. G. 348 (6th–7th cent.) reads [α]ρ̣χ̣η̣ τ̣ο̣υ̣ ε̣υ̣α̣γ̣[γελιου] (l. 1–2), whereas P. Oxy. 1928 (5–6th cent.) contains only the Gospel titles. See R. W. Daniel, “A Christian Amulet on Papyrus,” Vigiliae Christianae 37 : 400, 402. Those who are in the vicinity may be interested to attend Keith Small's lecture tomorrow night entitled 'New Testament and Qur'an: Textual history and views of inspiration' in Cambridge tomorrow at 5.45 p.m. Details here. Keith's doctoral research involved comparison of the text of the NT and the Koran. Discussion on the previous post has turned to this Oxyrhynchus amulet of the opening of Mark, lacking 'son of God'. I post the image here to facilitate examination and discussion. To see a higher resolution image go here. Here is an interesting demo video on how to use TPEN to assist you in transcribing a manuscript. The interface looks very pretty. I want to call attention to a recent post on the LXX here. Larry makes some great points about the neglect of the LXX on the part of students of the NT and then points us to some very helpful resources. The only question I have is, what is the edition of the LXX that NT students and scholars should use for their research? A list of the available critical editions of the books of the LXX may be found here at the Septuaginta-Unternehmen's website (23 volumes; 2/3 complete). Many, if not all of these volumes, are available through Logos software as well. Volumes of this series not only (1) reconstruct the Old Greek but also (2) catalogue the available evidence of the reception history in a second apparatus. (3) The Orthographica und Grammatica section helpfully lists the types of scribal errors which occurred in the manuscripts used for the production of the edition (helpful for LXX and NT scholars alike). If you are studying the relationship of the LXX to the NT, then start with the Goettingen Septuaginta. If there is no Goettingen volume, then use Rahlfs or Brooke McLean.